Sausage - a versatile sausage you can use in just a few minutes to prepare delicious and hearty meals. 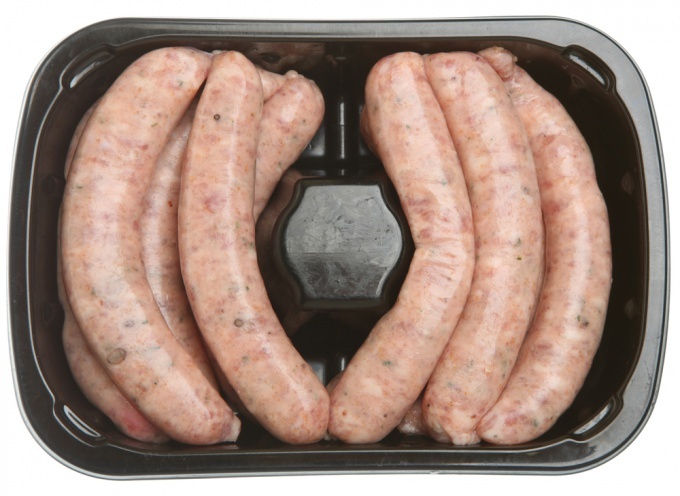 To cook the sausages can be a variety of ways: boil, fry, bake. Sausage with pasta and greens. To prepare this dish you will need: a medium onion, a clove of garlic, four sausages, a pack of pasta, a bunch of parsley, paprika and sour cream. • Finely chop the onion and the garlic clove. Cut it into pieces four sausage links and red pepper. • Heat the pan, add a little sunflower oil. • Saute the onion with garlic, then add the sausage and red pepper. • Bring to full readiness. • Boil the pasta and add the the mixture, a spoonful of sour cream, finely chopped parsley and a little paprika. • Cover and let stand a few minutes. To the table serve garnished with the whole parsley sprigs. For this dish you will need: six potatoes of medium size, garlic cloves, flour, five or six sausages. • Lightly fry sausage, add pre-crushed garlic clove and chopped onion. • All content fry until Golden color. • Add a pinch of flour, stir, bring dish to a boil. • Boil the potatoes and whip it into a puree with a blender. Serve the puree in the center of which will razmazite overdone content. You will need: four medium-sized potatoes, four sausages, green onions, mayonnaise, bacon, lemon juice and mustard. • You should first cook the sausages until they are done, then cut them into pieces. • Boil the potatoes, after you cut it into cubes. • Fry in a pan bacon, cut into small pieces. • Cut the green onions in small slices. • Mix the potatoes with the sausages, add the bacon, green onion, mayonnaise, lemon juice and mustard. Serve in small decorative bowls. Potatoes with sausage in the pot. In order to prepare sausages with potatoes in pots, you will need: three potatoes of medium size, onion, hundred grams of mushrooms, two sausages, dill, parsley. • Cut the potatoes into strips, fry it in a pan, add sunflower oil until light Golden brown and add salt. • Finely chop the onion, add the sausages and mushrooms. • Take a ceramic pot, pour a bit of water. Then start layering: first the cooked potatoes, after fried sausages with onions and mushrooms. • Put the pot for further cooking in the oven for one hour at three hundred degrees Celsius. Before serving, let the pot cool slightly, then garnish with sprigs of dill and parsley. Pots, beauty can be put on small plates, trays, to make it easier to serve guests. With a plate of sausage, you can cook a delicious, satisfying, and unusual dishes, which can be done quite quickly, and most importantly - do not be ashamed to serve to your guests!